Yay for Aussies! These intelligent, obedient dogs require physical and mental challenges to remain happy. 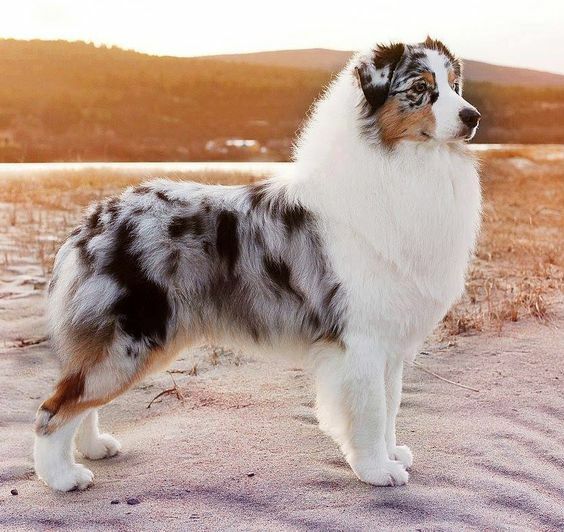 The average lifespan runs from 12 to 15 years, and throughout that time the Australian Shepherd might experience some skin and coat issues. Other issues that are common are hip dysplasia, hypothyroidism (if they don’t get enough exercise), and the inherited condition called Collie Eye Anomaly.